I made this salsa today and it was SO simple. 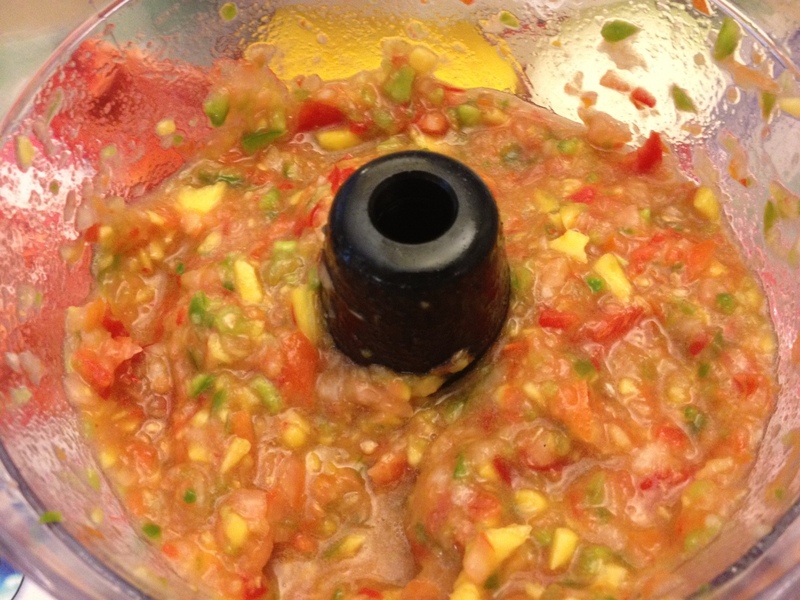 I had an excess amount of veggies that I wanted to get rid of so I put them in the food processor and made this salsa. You can subsitute any amount of veggies and I am sure it would taste great. Get creative and experiment! 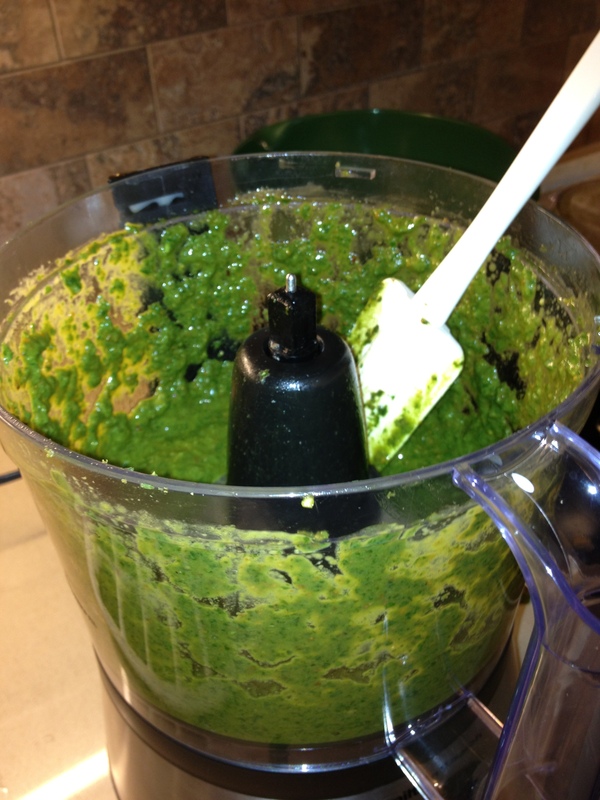 Throw all the veggies into a food processor and blend for 10 seconds or until desired consistency is reached. 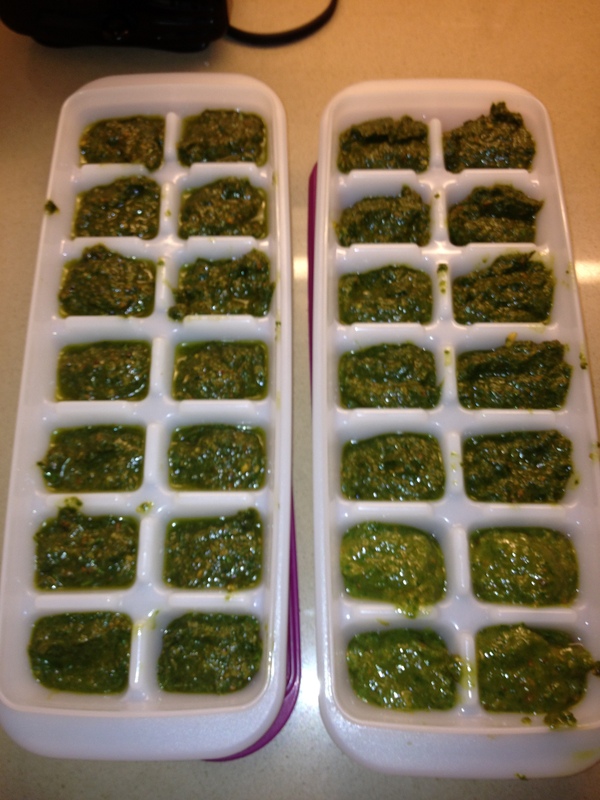 Stir in cilantro, lemon juice and sea salt to taste. Enjoy with nacho chips! 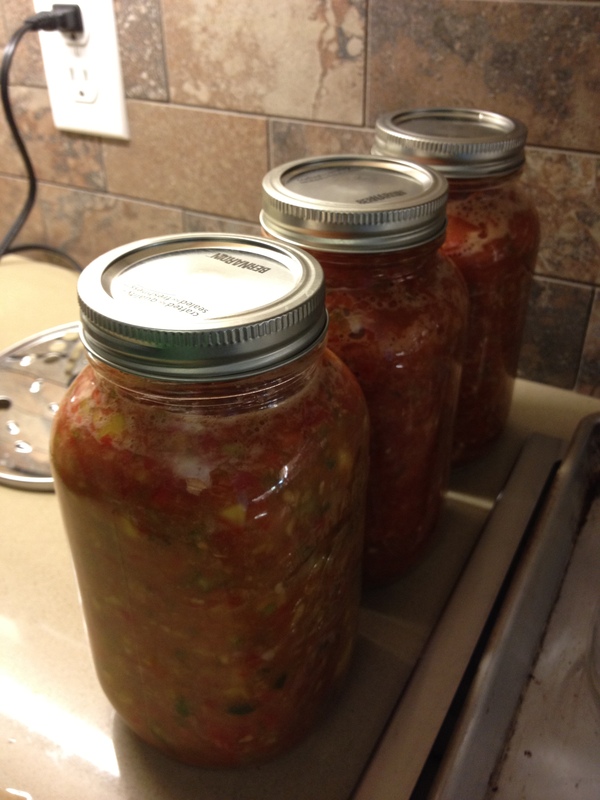 I decided to make a few jars because we use so much salsa. I sealed them and will store them in the fridge for up to 6 weeks. 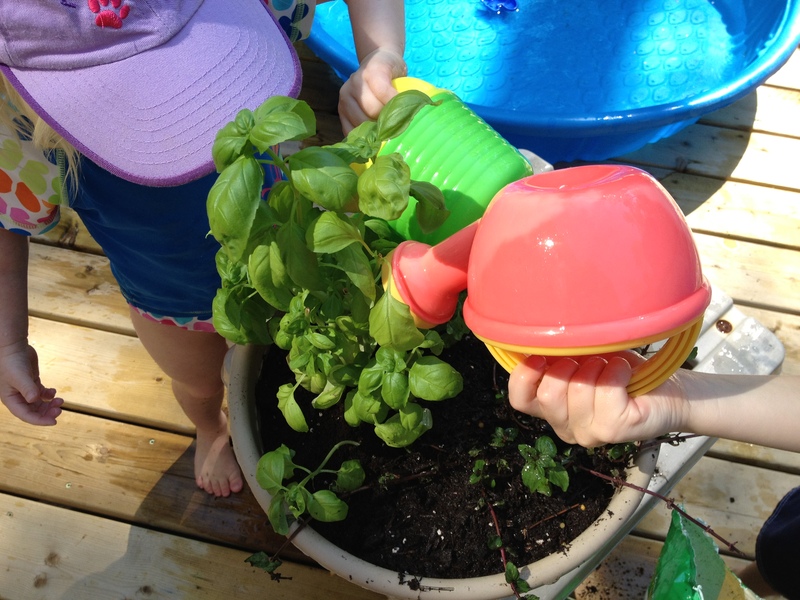 This summer year we I decided to do a couple pots of herbs with the kids. I love pots because they are simple, small and easy to maintain. 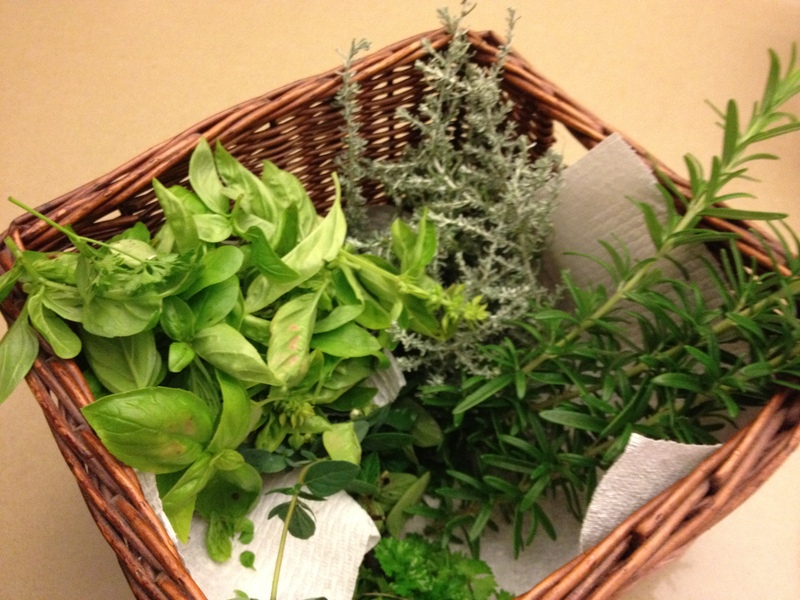 As long as you have good soil and water often your herbs will grow wonderfully. 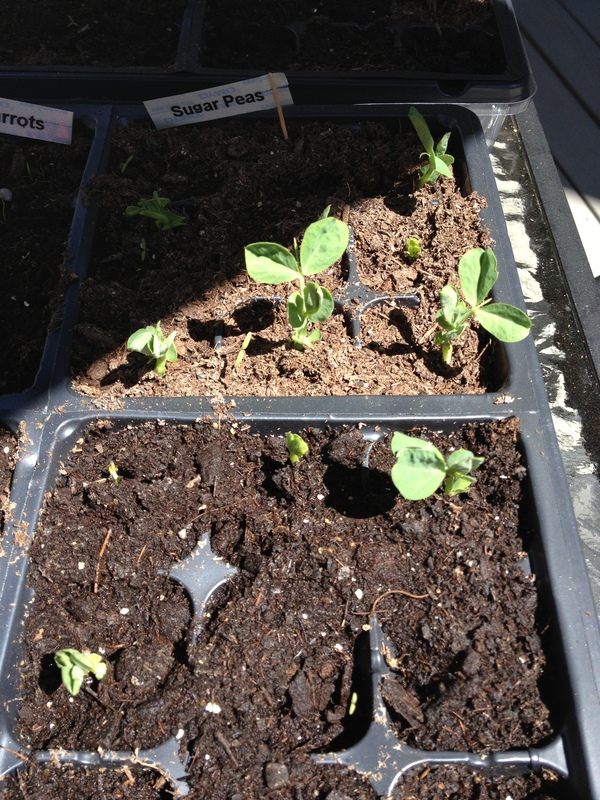 The kids loved to plant the seeds and watch them grow! 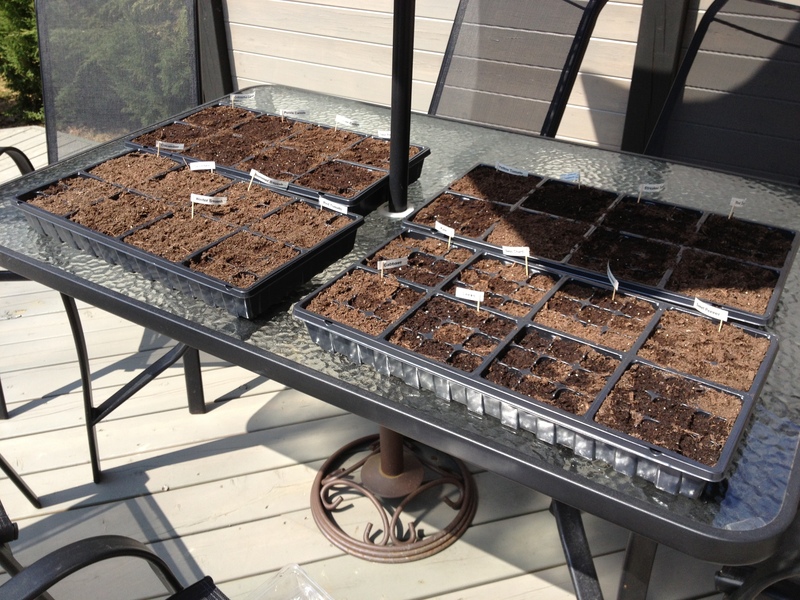 We planted peppermint, cilantro, and basil (the basil was from seed which we grew inside first then transplated). We are also going to do one pot of curry, chives, oregano and rosemary. 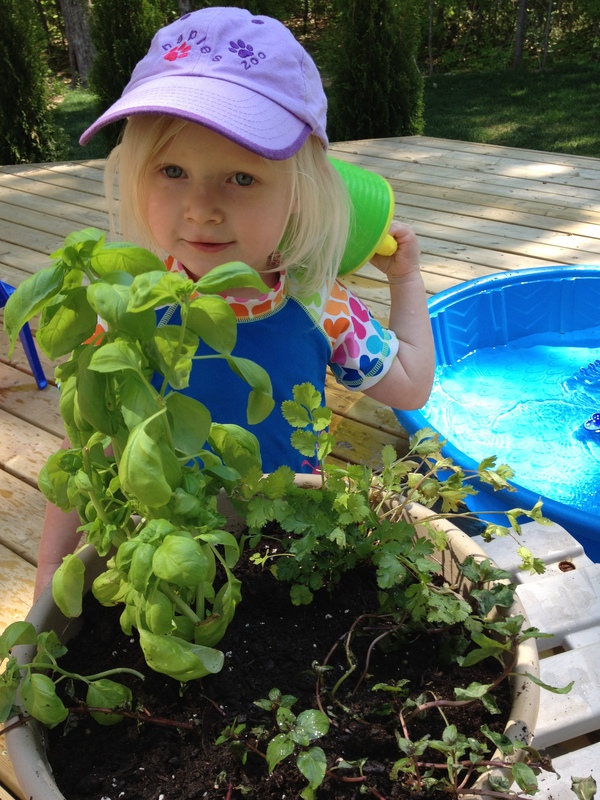 Gardening with kids is a simple activity that can be done outside; it is mess free and lots of fun! In the past, I have done pots that are specific to making different recipes. 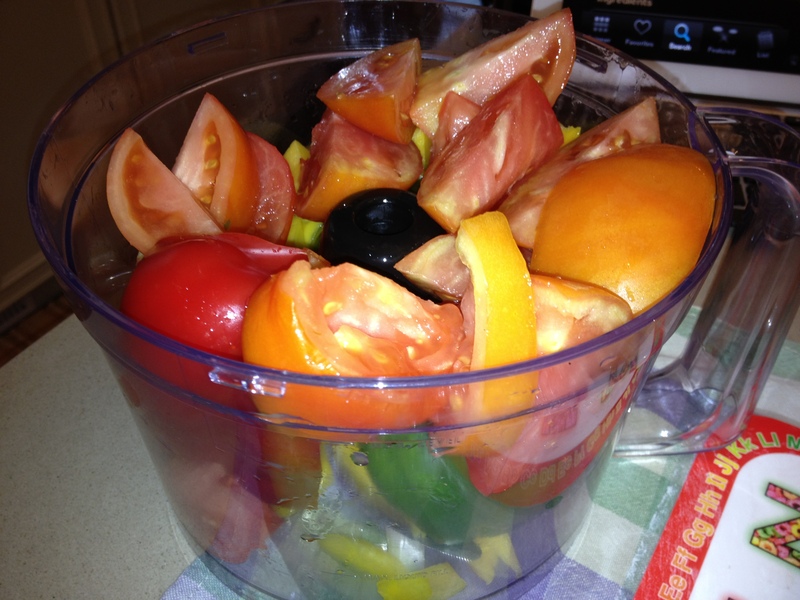 For example, you can do a Salsa Pot; cherry tomatoes, basil, peppers and chives or a Pesto pot; basil, parsely and garlic. This year however, I decided to keep it simple. 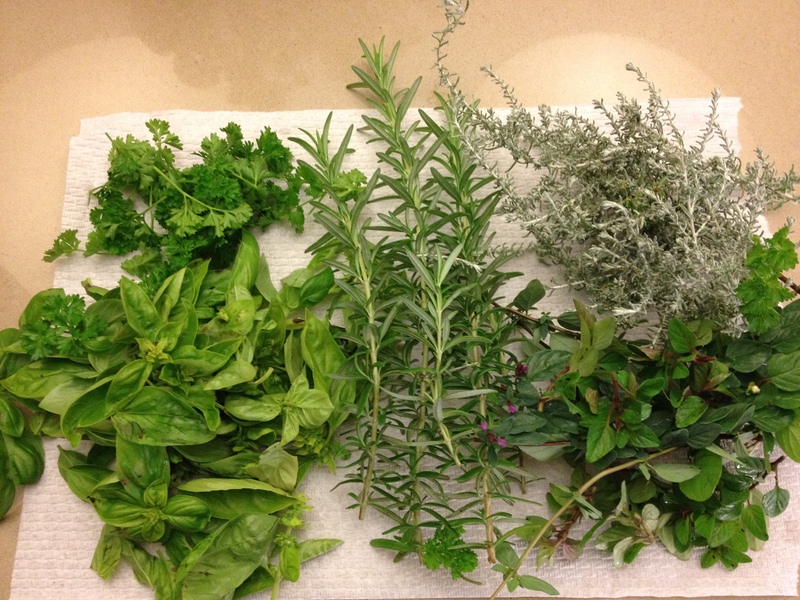 It has been fun to watch and water our mini-garden and enjoy the fruit of our labour:) I am looking forward to making my homemade pesto once we get enough basil! May you be blessed today, may you enjoy the simple and beautiful art of gardening! I love orchids! I have been growing them for years. They are one of the most majestic, beautiful flowers that I know. It seems that every year I accumulate more orchids plants. They come in a pot with a one or two stemmed orchid plant and they flower a different times during the year (usually once, but sometimes twice:) I had been struggle as to what to do with all of the pots when the flowers were dormant. I didn’t really want to leave them out as the green leaves are not very attractive so I had been storing them on a window ledge in my bathroom. This became a problem when the ledge began to get too small. I had SO many pots and not enough room. 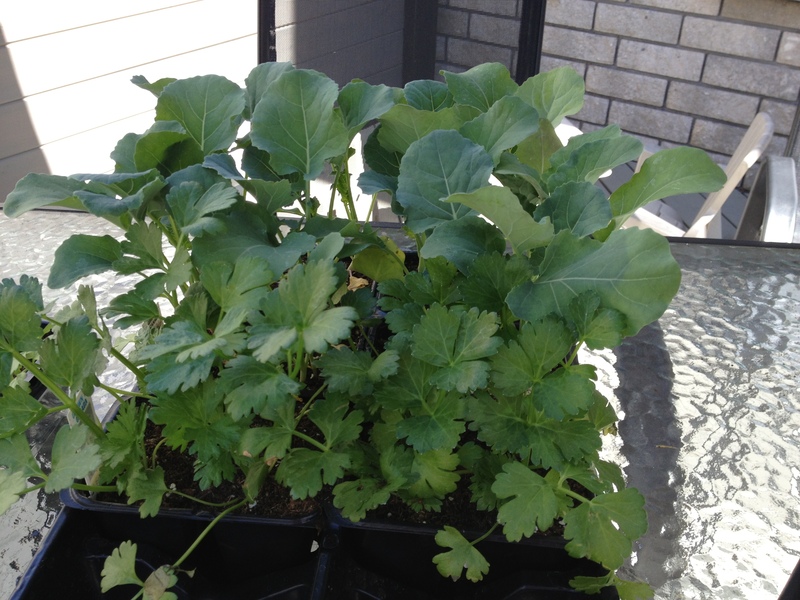 I needed to contain the plants and at the same time repot them because they were beginning to outgrow their pots. 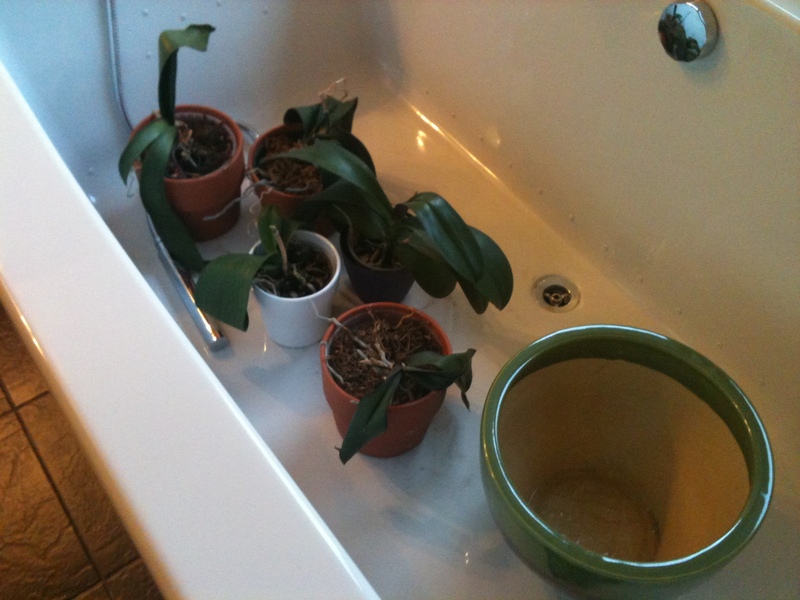 I decided to go out and buy a very large pot in which I would plant several orchids. I purchased a beautiful pot and began to replant my orchids. 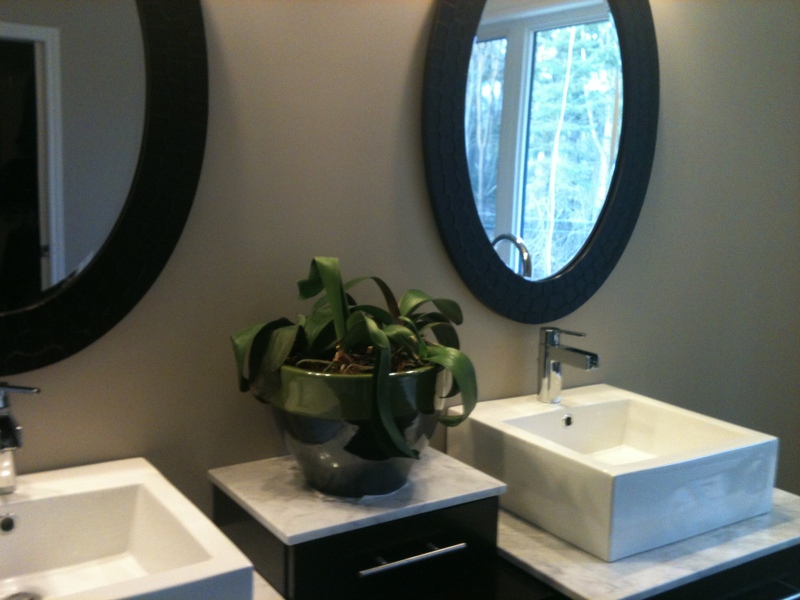 Repotting orchids can be daunting as they are very susceptible to changes in temperature, sunlight and even movement. 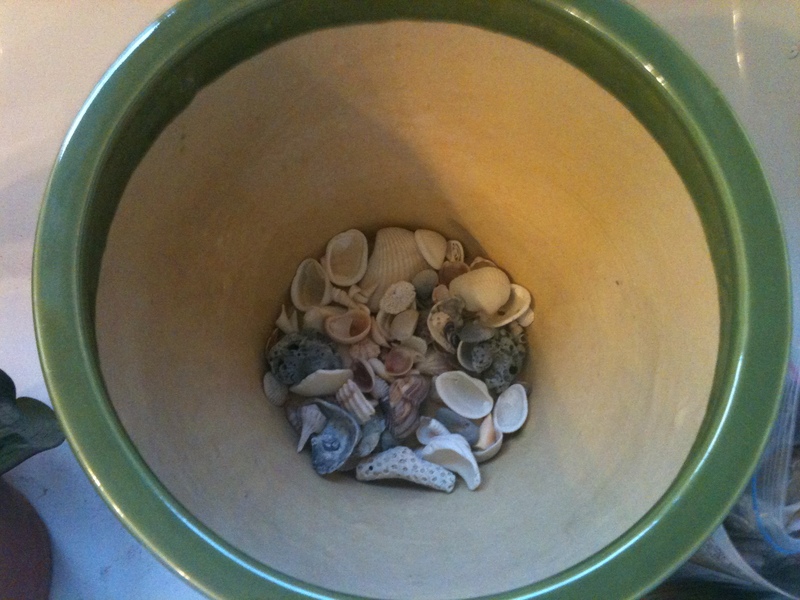 I filled the bottom of the pot up with shells, (you could also use stones), anything that is good for drainage. I then filled the pot half way up with orchid potting mix, it contains wood chips and moss. 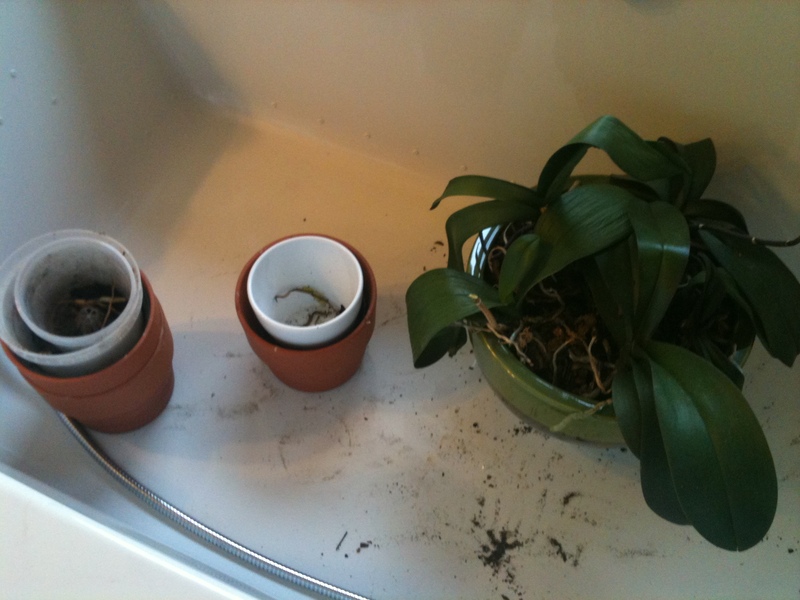 I then began one at a time to add my orchid plants, I managed to fit 5 orchids in the pot. Afterwards I filled up the rest of the pot to the top with more of the potting mix. I watered them and gave them their weekly fertilizer and so far they are doing great! One of them is beginning to flower and I was thinking it will be really nice to have at least one in the pot always in bloom so that it can be out on display. Hopefully this helps those who had the same dilemma, I think it looks great and it easier to take care of , one pot, one water, one fertilizer many blooms! May you experience the joy of the Father’s pleasure today. May we continue to grow in our maturity and character and we serve in our homes! I had looked into buying kits to be able to sprout but after talking to the owner of a local natural food store, I was informed that you can simply use a mason jar with a thin netting over the lid and an elastic to hold it in place. I decided to take this route as the price was right, I had everything I needed. The only thing I purchased was some organic alfalpha sprouts for $1.50. I began my sprouting adventure. 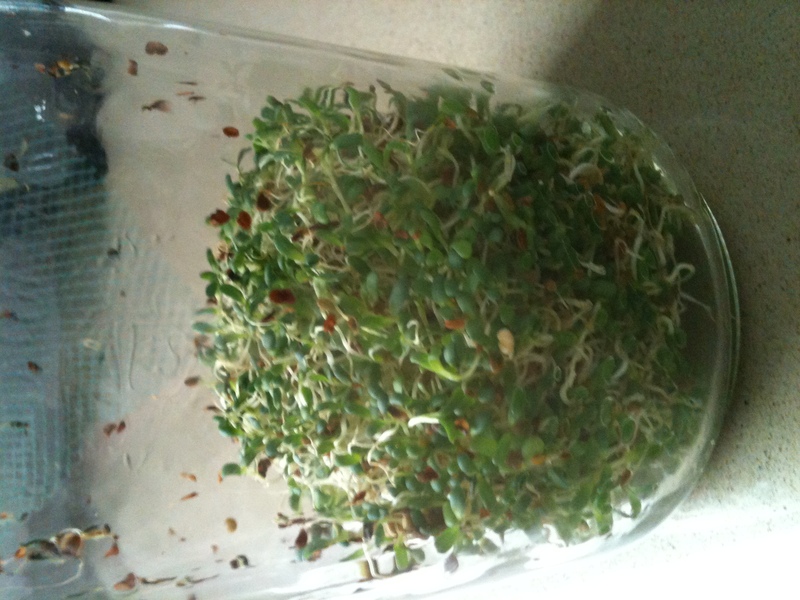 It worked so well that within 5 days of soaking my seeds I was eating delicious sprouts on my salad! 1. Gather a mason jar, a mesh cover, an elastic and some organic seeds (local food store sell them). 2. 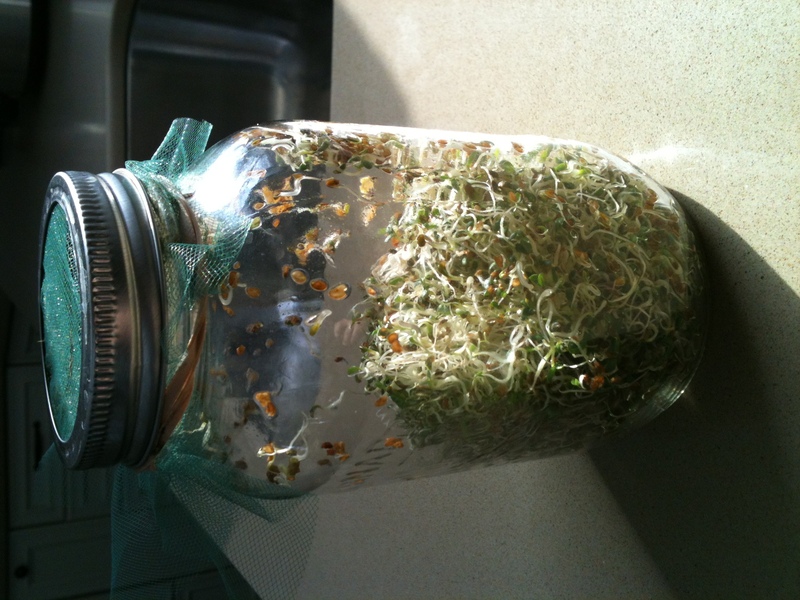 Take 2 tsp of alfalpha sprouts (or whatever seed you want) and soak them in the mason jar in water for 2-6hours. 3. Drain them and rinse twice a day. When you drain, tilt the jar to make sure ALL the water gets out. It usually takes 3-10 days depending on the seed. 4. 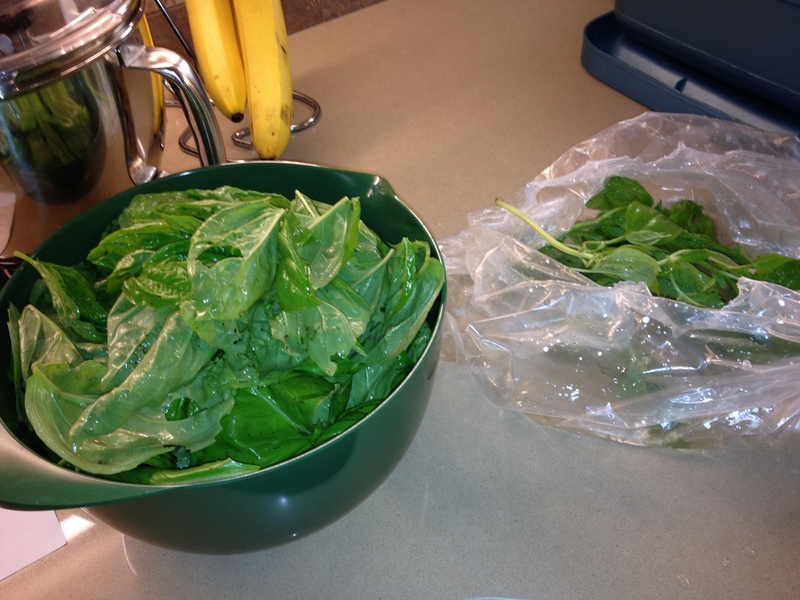 Use them in salads, smoothies, sandwiches and wraps! 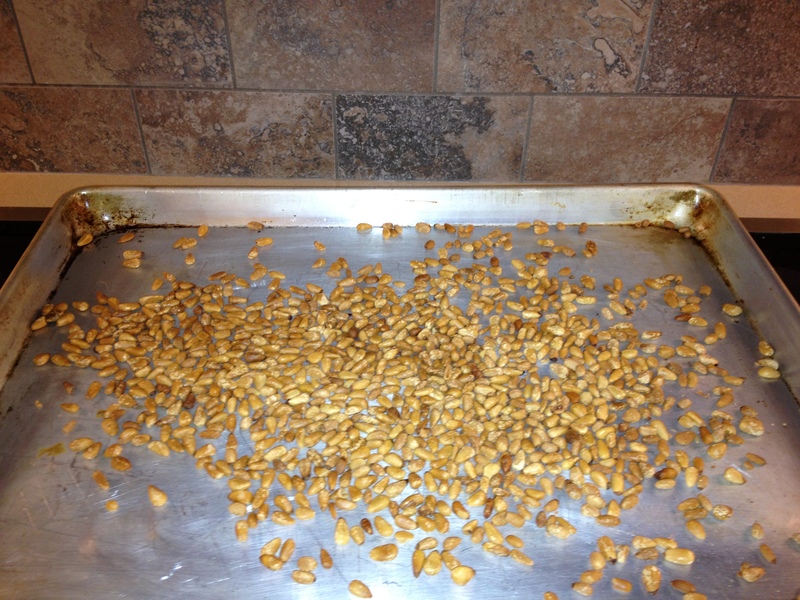 Sprouts are rinsed between twice a day and three or four times a day accordingly with climate and type of seed. 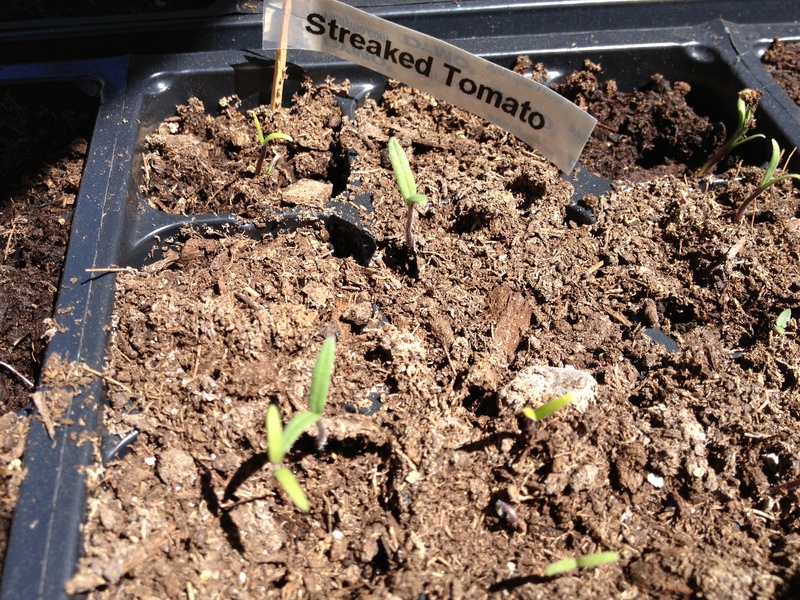 Each seed has its own ideal sprouting time. 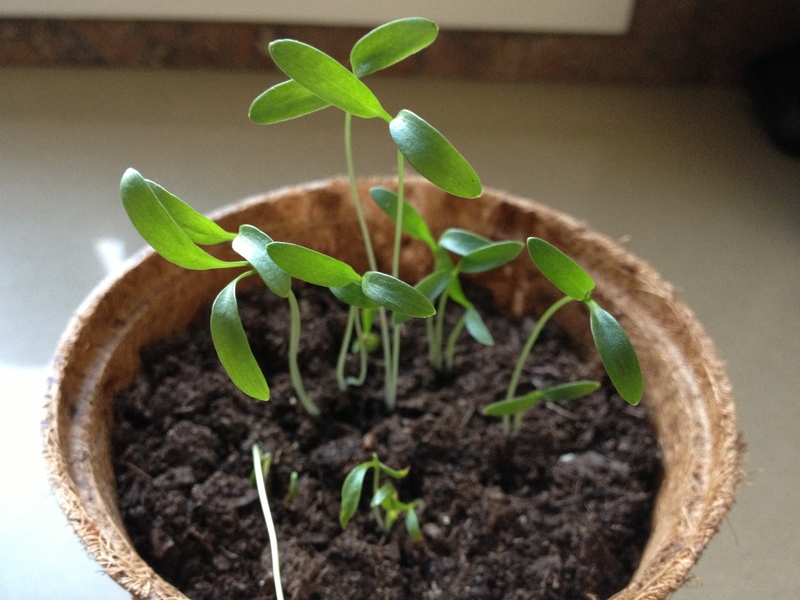 Depending on which seed is used, after three to five days they will have grown to 5 to 8 centimetres (2–3 in) in length and will be suitable for consumption. A popular baby green is sunflower after 7–10 days. 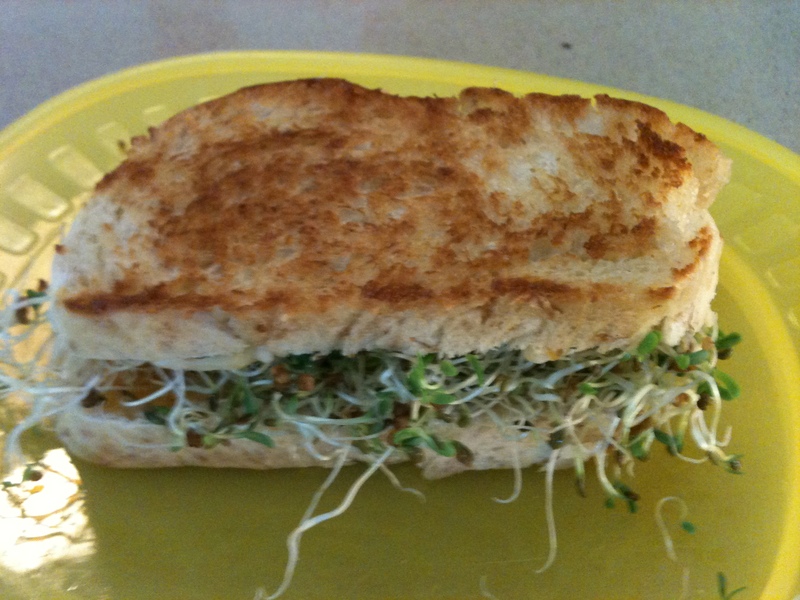 The growth process of any sprout can be slowed or halted by refrigerating until needed. Sprouting grains causes increased activities of hydrolytic enzymes, improvements in the contents of total proteins, fat, certain essential amino acids, total sugars, B-group vitamins, and a decrease in dry matter, amd starch. In a simply sprouted Barley seed, over a 7 day span there are increases in the crude protein and fibre content. On Day 1 the original seed contains 12.7% protein and 5.4% fibre, however by Day 7 it contains 15.5% protein and 14.1% fibre. All of this very easily absorbed and broken down by the body’s metabolic system. 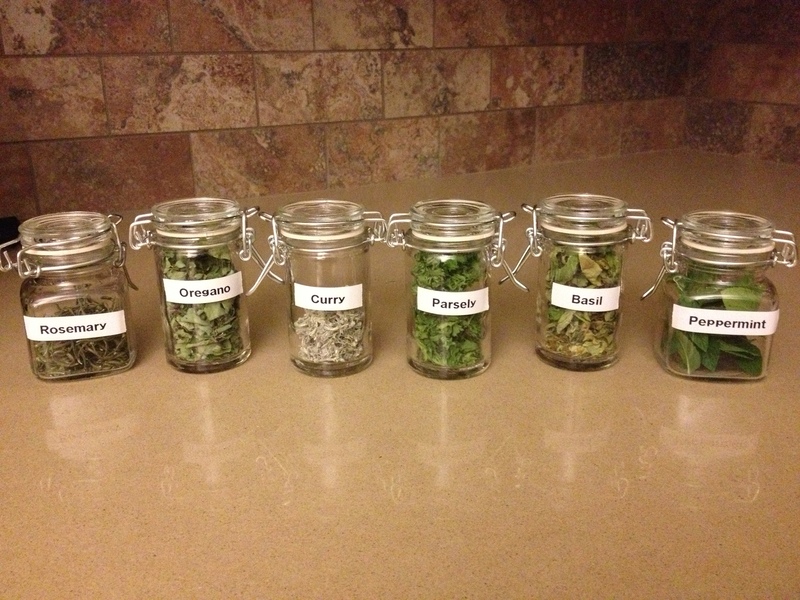 Sprouting is a great assest to a raw diet. May you enjoy the blessings of new life sprouting up in your life today!